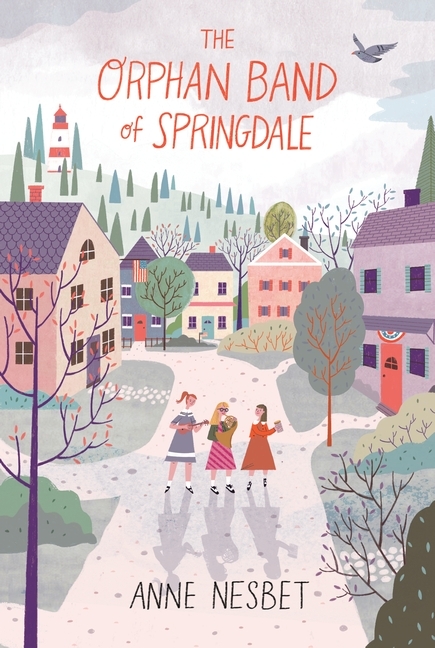 In The Orphan Band of Springdale, author Anne Nesbet transports readers back to a simpler time, that’s not really that simple. It’s 1941, and tensions are rising in the United States as the Second World War rages in Europe. Eleven-year-old Gusta’s life, like the world around her, is about to change. Her father, a foreign-born labor organizer, has had to flee the country, and Gusta has been sent to live in an orphanage run by her grandmother. Nearsighted, snaggletoothed Gusta arrives in Springdale, Maine, lugging her one precious possession: a beloved old French horn, her sole memento of her father. But in a family that’s long on troubles and short on money, how can a girl hang on to something so valuable and yet so useless when Gusta’s mill-worker uncle needs surgery to fix his mangled hand, with no union to help him pay? Historical fiction has always been a favorite of mine, and The Orphan Band of Springdale is no different. Author Anne Nesbet immediately transports you to 1941 Maine. The United States has yet to enter WWII, but lines are already being drawn here on the home front. Being different is not an asset, and people aren’t afraid to let their feelings known. Sound familiar? In many ways The Orphan Band of Springdale is a mirror of society today, and that’s where young readers will be able to find common ground. The social norms of school haven’t really changed that much, neither have the prejudices of adults. Nesbet is a strong storyteller. She knows the exact moments in which to grab you by your heartstrings and never lets go. Her writing is smooth and inviting, and the pacing, ebbs and flows in a pleasant way. The Orphan Band of Springdale is a book I would have enjoyed as a child/tween. I have this and totally forgot about it but I am going to start it today!